As the principal of the College I am glad to observe that Joseph Vaz College is making steady progress in studies, sports, religious and cultural activities. This is because of the commitment and the good will of a very dedicated staff. 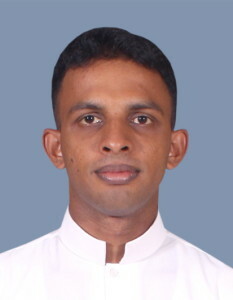 Joseph Vaz primary College is very fortunate in having Rev. Fr. 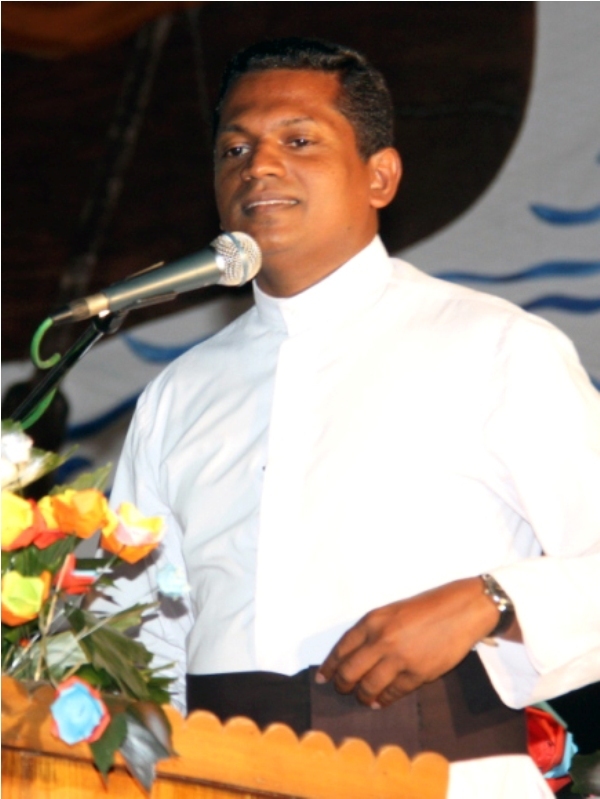 Janaka Nishantha as a very energetic and humane principal who has been of tremendous support. I am extremely proud to extend my service as the principal following the long line of dedicated principals who toiled hard and rendered a lifeless historical service to lift the College up to what it is today. I know how important it is to be educated. The country needs educated and intelligent people. The future of a person depends on education and extracurricular activities. Being educated is the greatest reward. You illuminate your life by learning though out your life. Children need a caring environment and here we are providing high academic standards with an aim to encourage and develop art, literature science etc. The academic staff is professionally qualified and have been able to maintain a professional demeanour right throughout displaying a lot of skill, patience and effect. There is a long list of achievers who have made the grade whenever the opportunities came their way not only at national but also international level. They have made giant strides farward. Sports have had a great impact in the history of Joseph Vaz College and no doubt will continue to do so. Sports, if recognized as a way of life, in one sense, will great by help those who participate to do so with fairplay and sportsmanship to the fore. Vazians are involved in a range of sporting activities. I sincerely wish all the sportsmen the very best and thank them for their dedication and loyalty. I thank those involved in untiring efforts in maintaining discipline among the sportsmen. I also thank the coaches and Masters-in charge for their dedication and support. I most sincerely thank all those who have helped in many ways, students, parents and the staff for their love and commitment and to our sponsors for their support as this state of affairs would not be possible if not for their generosity. Let the essence of Varzian spirituality lit up within you in your childhood days, be the penetrating hallmark of a sterling leader of a veritable caliber. Let your colleagues join you in holding aloft the torch you have kindled. Never give up your gentlemanly qualities just for the want of material and temporary excitements. Have clear lines of demarcations drawn up as per your personality and great human qualities. Work with zeal and zest. I wish that you, you will be the greatest of all. Where it will be necessary, learn to differ with courtesy in order to withstand what is against conscience. May you all grow from stature to stature under the banner of Josphe Vaz College.